The truck industry has made big efforts to make their trucks cleaner and safer. This is mostly because they were required to do so by EU law. Thanks to these regulations trucks now pump less toxic exhaust into the air and into our lungs. Trucks have also become safer with safety technologies such as automatic emergency braking and blind spot mirrors becoming compulsory for new vehicles. The truck industry is not just sitting on its hand. Truckmakers are developing semi or even fully automated vehicles, electric engines as well as new super-aerodynamic designs. The big challenge is to accelerate innovation and make cutting-edge technology available to the majority of the market at affordable prices. Can trucks become more fuel efficient? According to independent research, trucks could be around 30 to 40% more efficient than they are today. Most of the technologies needed to achieve this potential are already available on the market. However, usually these technologies are not standard and have to be purchased by fleet managers, hauliers and small truck entrepreneurs at a high premium. Things like low resistance tyres, smart (predictive) cruise control, aerodynamic add-ons, downsized engines, waste heat recovery, start-stop and hybridisation are commercially available technologies. 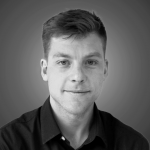 Generalising their use would reduce their cost and make them cheaper to buy for hauliers. That means they get more fuel savings for less money. What is a truck made of? Generally speaking trucks are divided in two big categories: rigid trucks – with a fixed body – and articulated trucks or tractor trailer trucks. Tractor trailers are an increasingly large part of the trucking fleet and account for the majority of fuel used and CO2 emitted. The biggest truck/tractor manufacturers are Mercedes, Volvo-Renault, Scania, MAN, DAF and IVECO. The companies manufacturing trailers and boxes are not the same as those producing tractors and trucks. The biggest trailermakers are Schmitz Cargobull, Krone, Kögel Fahrzeugwerke and Schwarzmüller. Combined these four trailermakers have a market share of around 50%. Boxes or bodies are built by so-called bodybuilders. This is a fragmented market with few major players. Within the larger truck categories (rigid and artic) there exists a lot of variation. Things like cabin type and size, engine size and axle configurations can be specifically adapted to the customers wishes. One complication is that certain truck types are built up by different manufacturers. Essentially all rigid trucks will go through (sometimes several) bodybuilders to provide the additional body/superstructure and any additional auxiliaries (e.g.tail lifts, cranes, cement mixers, refuse collection systems, etc) for most cases specific customer requirements. Road tractors in contrast are essentially finished products. A rigid vehicle is composed of a box or body fitted onto the truck. Playing with an actual Truck configurator you will understand how many options are currently offered to the buyers of such trucks – and how much these options can amount on the final bill. How much a new truck costs depends on a number of criteria related to the vehicle (axles configuration, cab size, engine type, options), the number of vehicles you buy, your negotiation skills and of course which options you choose. 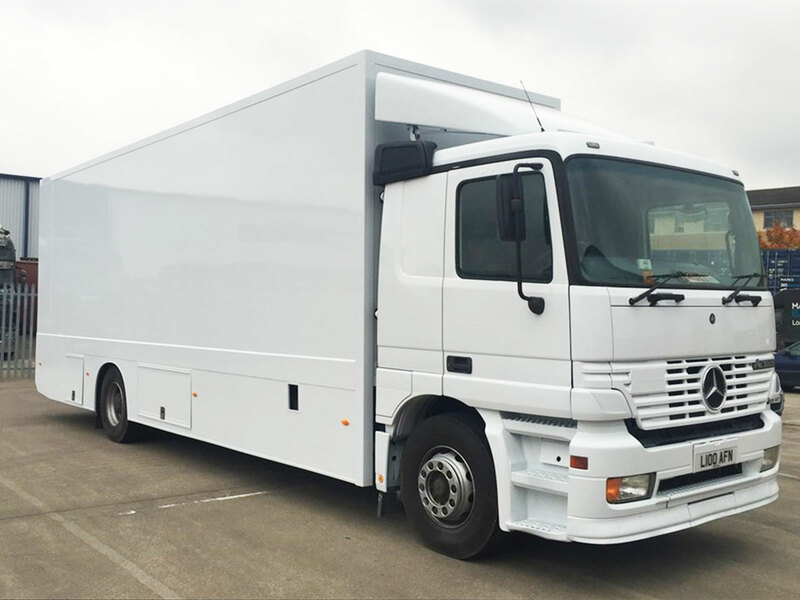 However, generally speaking a standard tractor unit should be available from around €80.000-100.000. For example, the Scania R450 (as tested by Verkehrsrundschau) hast a price tag of €95.000 but would cost €138.000 with the options the magazine recommends. That’s 45% more and a nice illustration of how important options are in the business of truck buying. 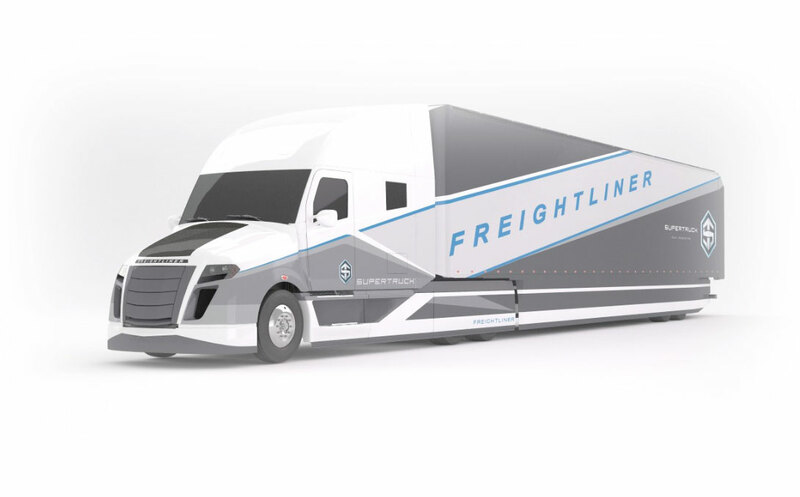 If people talk about state of the art trucking technology, Daimler’s Freightliner supertruck comes to mind. The Freightliner supertruck averages 12 miles per gallon or around 19 litres/100km which is about seventy (!) percent better than the EU industry average today (32-33l/100km). 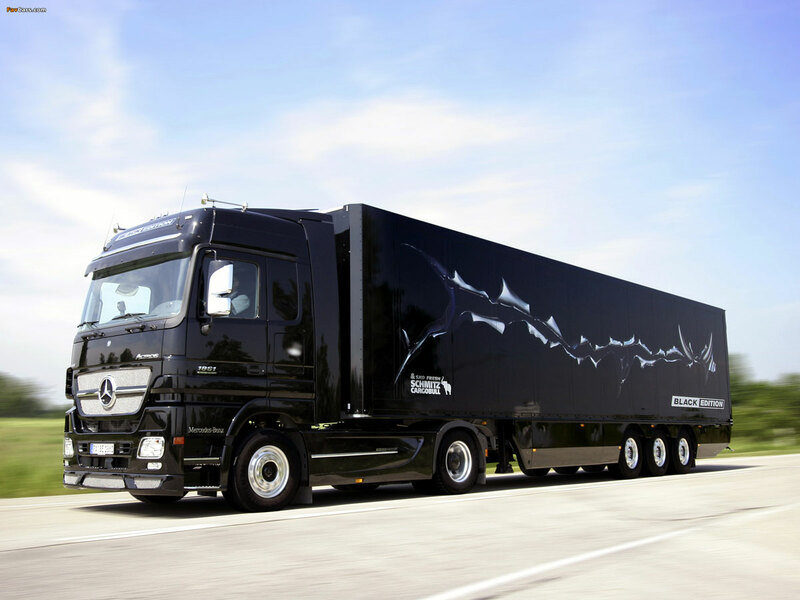 The Daimler’s Freightliner supertruck is 70% more efficient than the EU industry average today. 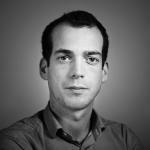 For an average of 130.000 kms driven per year – it is a direct cost reduction of more than 15.000 euros per year. The Daimler supertruck boasts a hybrid (diesel-electric) engine, lots of software to optimise the operation of the powertrain, a solar roof and a number of smart aerodynamic features. The Freightliner supertruck is not commercially available. A typical tractor trailer truck drives around 130.000km per year. Assuming new vehicles consume around 33l/100km and diesel costs around €0.9/litre (hauliers don’t pay VAT and often get discounts) you would be spending around €40.000 per year on fuel. This accounts for 20-33% of the total cost of operating a truck. Of course this is all highly dependent on the fuel price and how much the driver is paid. 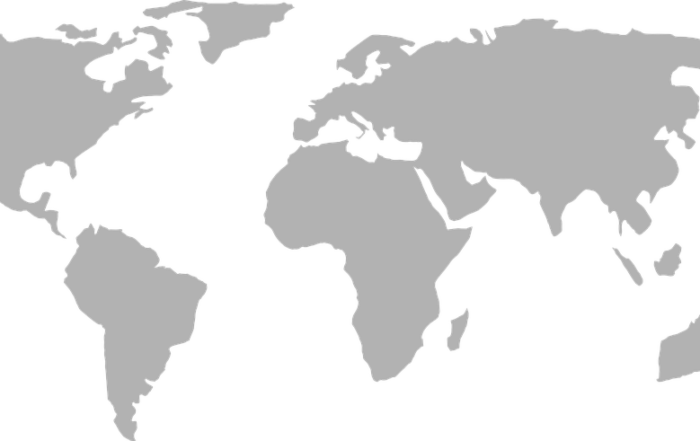 Typically, a fleet managers or haulier will buy his trucks at one of the manufacturer’s dealerships. Here you can buy a vehicle that is equipped with the standard features but you can also choose a number of options to specify the vehicle according to your fleet’s needs. This applies to things like the size of the cabin (large & comfortable or standard) but also for fuel saving technologies. For example, for the Mercedes-Benz Actros 1845 the dealer would offer you an “eco-pack” with lots of fuel and carbon saving features. The Mercedes eco pack includes things like ultra-efficient tires, tire pressure monitoring system, a very aerodynamic spoiler, a retarder and predictive cruise control. However, buying this eco-pack would set you back €11.500. To get aluminium wheels – which are lighter – you’ll have to cough up another €2137. 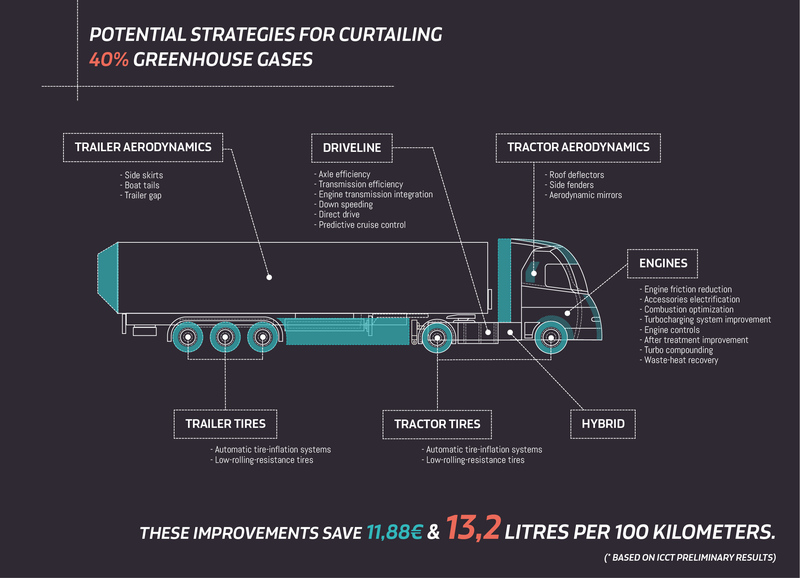 How much more efficient could trucks be? Most of the technology to improve fuel efficiency is already on the market: Low resistance tyres, downsized engines, waste heat recovery, start-stop and hybridisation are commercially available technologies that are sometimes already offered as – expensive – options. Generalising the use of these technologies would reduce their cost (because of higher volumes and learning effects) and hence provide hauliers with more fuel savings for less cash. In 2011, AEA-Ricardo estimated that trucks could be 50% more efficient. In the same year TIAX predicted possible improvements of 41-52% would be possible. In 2014 the European Commission estimated a 35 percent improvement in fuel efficiency is technically feasible and cost-effective. In 2016, a new ICCT study said tractor trailer fuel efficiency could be 40 percent better. The report focuses on engine, transmission, and tractor-trailer technologies. All of them are available or expected to be commercially available in the 2020-2025 timeframe. What are the key technological improvements? The main contributors to truck fuel consumption are the powertrain, aerodynamics and tires. So this is also where the biggest potential for improvements lies. Current truck engines are already relatively efficient. With a peak break thermal efficiency of around 45%, truck engines perform a lot better than passenger car diesel or petrol engines. But engine efficiency could be improved further still. For example, Cummins an American engine making company – says it could reduce fuel consumption through engine efficiency improvements by 5-11% compared to a current truck (2015 EURO VI truck engine). Efficiency levels of 50% are achievable. But as part of the US supertruck programme truckmakers also had to show there’s a technically feasible pathway towards 55% engine efficiency and it is now assumed that with things like waste heat recovery this would be possible. When a truck is driving on a highway, around 40% of the fuel it uses is goes to overcoming air resistance. So the more streamlined you make the vehicle, the less energy you need to move it. Aerodynamic improvements can be made to all parts of the truck: the front, the side and the back. 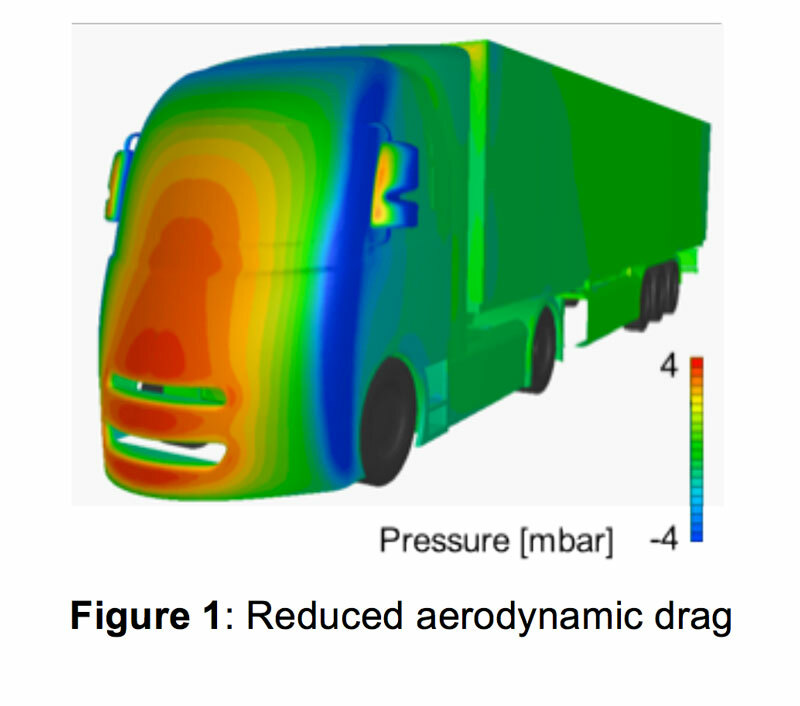 Generally, better aerodynamics are seen as one of the most cost-effective ways to reduce truck fuel consumption and carbon emissions. Current EU trucks are brick shaped. This unaerodynamic shape was ‘forced upon’ truckmakers by the EU’s truck dimension rules. The 16.5m length limit has encouraged truckmakers to maximise cargo space (trailer) and minimise tractor space. A rounder and more streamlined frontal design would improve aerodynamics and reduce fuel use. The trailer accounts for 50% of the aerodynamic drag of a truck and there is a lot of potential for improvements to its current boxy design. For a good overview of what’s possible for the side and the back (i.e. the trailer) the PART Platform website is an excellent starting point. Key technologies here include side-skirts and aerodynamic flaps fitted at the back of the trailer. Truck and trailermakers too have demonstrated there’s a lot of potential for improvements. For example, MAN built the Concept S which was completely optimised for better aerodynamics. Combined the tractor and trailer would be 15% more fuel efficient. Tires play a major role in reducing fuel use from trucks. Overcoming so-called rolling resistance accounts for around 45% of fuel used. The use of low rolling resistance, single wide tires along with making sure tires are always well inflated can result in CO2 savings of 5% to 10%. The European tire label classifies truck tires from A to G. The difference between the best and worst is 7.5%. Currently most truck-trailer combination run on B-C label tires. Keeping the tires well inflated is extremely important. Tire pressure monitoring systems (TPMS) can help fleets keep track of this. Fleet trials have demonstrated average benefits for HGVs at 3 – 4% fuel consumption reduction. TPMS is mandatory for passenger cars but not for trucks. Fuel consumption isn’t just about vehicle technology; it is also very much about how you use the vehicle. 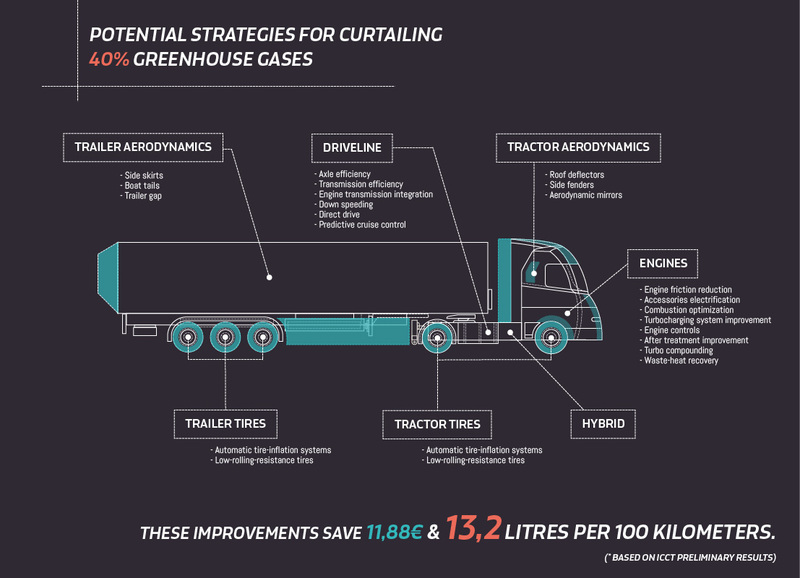 The way a truck is driven can make a difference of 15% in fuel use. That’s why many progressive trucking companies started training their drivers. Many companies go further still and actively monitor their drivers’ performance via so-called telematics (see for example MAN telematics). This allows fleets to compare the driving style and fuel use of their drivers. Some companies even create contests and reward so-called fuel champions, e.g. by giving them part of the money they’ve saved for the company as a bonus. 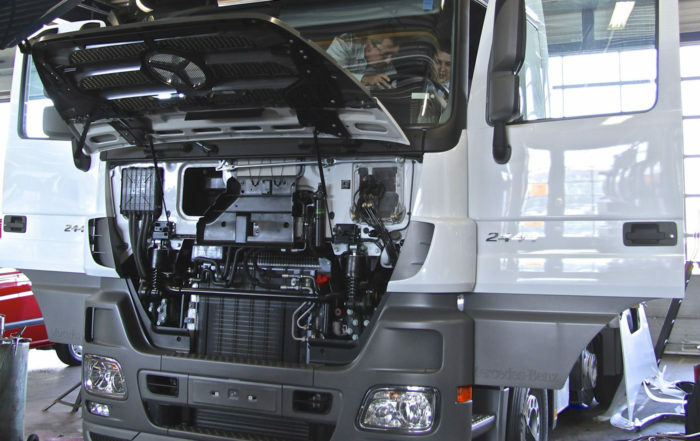 Unlike passenger cars, there is no standard EU procedure to test new truck CO2 emissions. The European Commission has spent much of the last decade developing such a test and has called this procedure VECTO. This test is an essential building block for truck CO2 regulation. China adopted its first set of truck fuel economy standards in 2011. Three years later it finalised the second - more demanding - truck fuel economy standard. In May 2016 the Chinese government announced the 3rd phase. The EU is currently the only large developed economy that does not regulate fuel efficiency for trucks.